Unique and Inclusive — Ability to change to over 30 laminar stream patterns and also includes one high flow V-shaped pattern. Pattern heights up to 8.5 feet. Complete — Fountain includes multiple-pattern nozzle, dual debris screening, three mooring lines, and control panel with timer, ground fault interrupter, and photo-eye for lights. Power cord length options of 50, 100, 150, or 200 feet. Versatile — Decorate water gardens or enhance large ponds with a stunning center display. Easy to Install — Small, portable size. Minimal assembly. 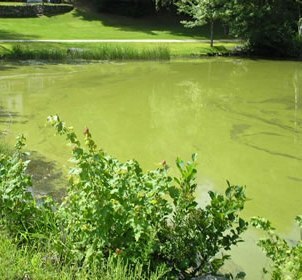 AirMax Eco Sytems offers a wide range of Subsurface aeration that is sized to meet the needs of each lake or pond you are caring for. Systems are sized based on the depth of the water and surface area. Shown here is a system that can handle up to 6 acres of water over 6' deep. 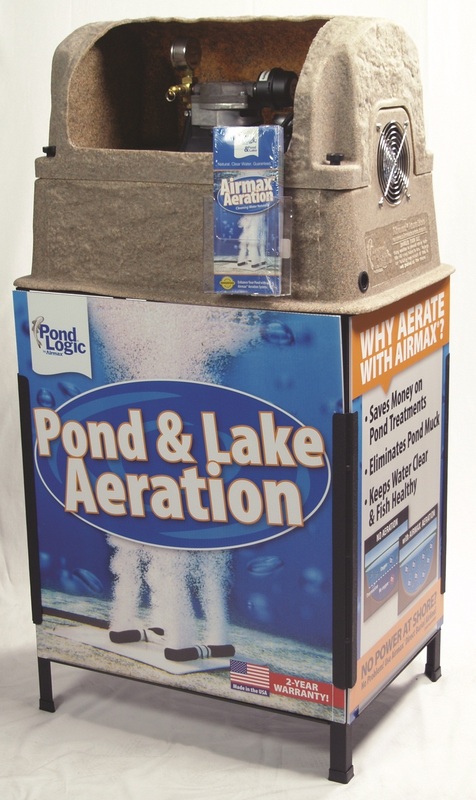 The Pond and Lake Aeration Display will let customers know you are prepared to help them keep their pond attractive and healthy. Contact us for information on how you can qualify for a "payback" towards getting a display for your store. 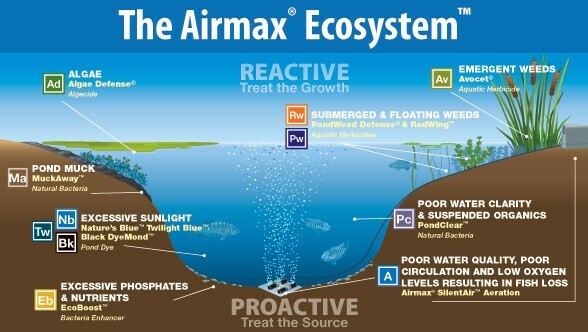 Airmax has a wide range of treatments that are specifically designed to be used in Lakes and Ponds. They can be purchased individually or as part of a complete treatment rack. This treatment rack can be ordered either with or without chemicals. The usage of chemicals is regulated by some states. If your shop is in one of the regulated states be sure to order the rack without chemicals. 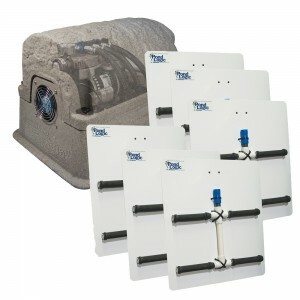 Please click here for listing of what is included in the Lake and Pond Treatment Rack. A well stocked display rack such as this will clearly convince your customers that you are the "go to" place for Lake and Pond Management. Use these treatments with proper Aeration for best results.